Donald Trump: I could "shoot somebody and I wouldn't lose any voters"
According to Republican presidential contender Donald Trump, his supporters are a staunchly loyal bunch -- so loyal, in fact, that the billionaire could get away with some pretty drastic acts and his fanbase wouldn't bat an eye. "My people are so smart -- and you know what else they say about my people? The polls?" Trump asked a crowd at a Sioux Center, Iowa, rally Saturday. "I have the most loyal people -- did you ever see that?" "I could stand in the middle of Fifth Avenue and shoot somebody, and I wouldn't lose any voters, OK?" he said, referring to the major street in New York City that cuts through Manhattan's large commercial district. "It's, like, incredible." 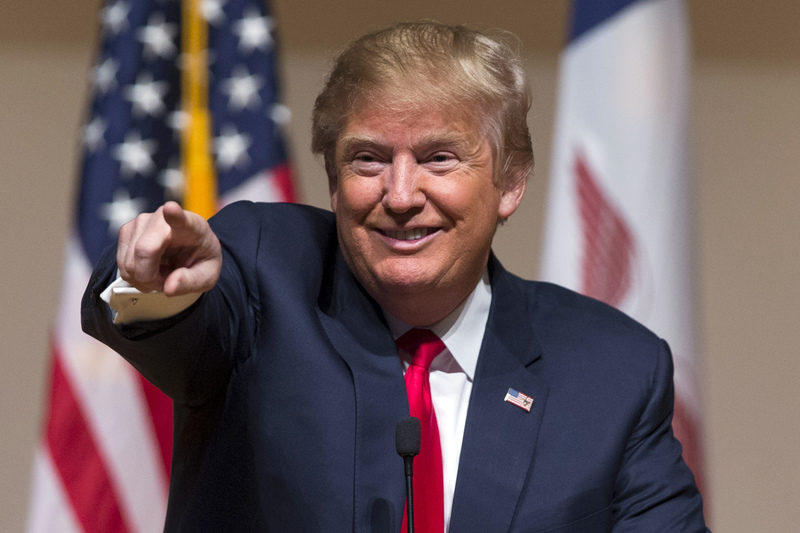 Trump certainly holds a commanding national lead over the rest of the Republican presidential field. A recent CBS/New York Times poll showed 36 percent of Republican primary voters back the bombastic real estate developer -- 17 points ahead of his closest rival, Texas Sen. Ted Cruz. Additionally, a majority of his supporters have declared their minds are made up, compared to other voters: Fifty-two percent say they have decided on Trump versus 24 percent of non-Trump supporters who have made up their mind. Enthusiasm for the Republican politician has also grown, according to the January survey. Forty percent of GOP primary voters say they would enthusiastically throw their support behind Trump -- up 11 points from December. Trump later went on to bash his fellow Republican 2016 candidates, calling the supporters of contenders like Ted Cruz "soft." "My people stay," he said. "Cruz? Soft. When they heard about this thing - that he was born in Canada, that nobody knew about? He lost a lot of people. He's gone down big in the polls." When likely Iowa caucus-goers at the rally were asked about Trump's charge that he is bulletproof in the polls, some dismissed his turn of phrase. It's "just a figure of speech," said Frank Martinez from Sibley, Iowa. "It is not the fact that he wants to shoot anybody, and I hope that's not the way it is going to be changed or edited. But what he is saying is basically he is very confident in where he lives." A first-time caucus-goer, David Griffith, added that "obviously he is not going to go and shoot somebody." Still, Griffith said, "I knew when he said it it was risky ... somebody is going to take and twist that line." CBS News' Kylie Atwood contributed to this report.